Deciding which yarn to buy can be difficult. 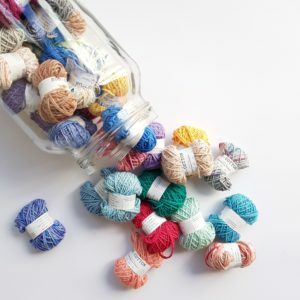 Jaarn has narrowed it down to make it simple for you; we have listed some guidelines to identifying the different types of yarn. There are many yarn fibres and there are even balls of yarn that blend two or more fibres together. Natural animal fibres are excellent insulators. Wool – For its popularity it is also known as the queen of yarns, obtained from sheep and goats. It is one of the most durable fibres. The three most popular types of sheep’s wool are: soft Merino, rustic Shetland and silky Cashmere. Wool holds its shape well after blocking. Fleece – Alpaca fibre can be lightweight or heavy. 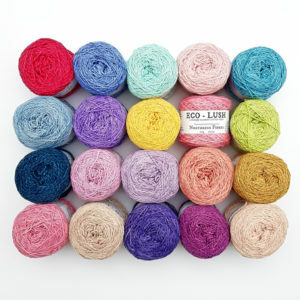 It is a very soft and fine fibre and is an excellent knitting material for your cardigan or shawl projects. Llama has a two-layer fleece. Its soft inner coat is used for clothing, while the outer coat is often used for making rugs and ropes. Plant fibres are breathable, can absorb moisture well and are hypoallergenic. Cotton – Light, breathable and absorbent fibre. While this is a strong yarn, it offers minimal elasticity compared to wool. It is usually blended with other fibres such as nylon to offset the undesirable characteristic. There are three fibre types of cotton in the market: Egyptian, Pima and American. Bamboo – biodegradable and a renewable resource. The fibre’s coolness and breathability makes it the most comfortable clothing for warm weathers. 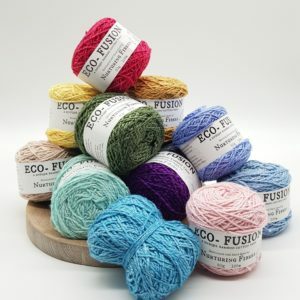 This “green” yarn has non-allergenic properties. Linen – Linen is durable against heat, therefore ideal for warm weather wear. However, this material wrinkles easily. Silk – One of the most versatile fibres. It offers warm insulation for cold weathers, and cool breathability during summer. Expensive, but strong, shiny and lustrous. Produced from chemicals, most of these fibres are easy to maintain. Acrylic – Inexpensive and machine washable. A great starting point for beginners. However, once you’ve gotten a better hand on knitting, its best to move to natural fibres. Metallic – This synthetic fibre is composed of plastic-coated metal, metal-coated plastic or all metal. Nylon – Easy to wash and exceptionally strong, nylon is commonly blended with other fibres such as cotton or wool. Used for socks and cardigans, it can also be used to make carpets and draperies, thanks to its abrasion resistance. It is important to note that using different yarn fibres will wield different results in your knitting project. If a pattern specifies what yarn to use, using the exact yarn or something similar in fibre content is best. For more handy tips keep checking our blog. Contact us for all your yarn questions or to source the best quality local and international fibres, and have them delivered right to your door. 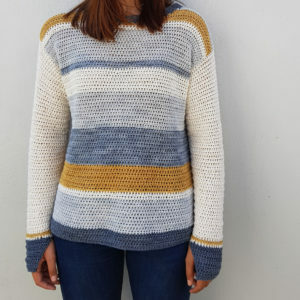 The word Jaarn has become a cult word in Afrikaans culture to describe all the different fibres that can be used in knit, crochet and weaving. All categories Yarn Dye House Yarns Katia Yarns Nurturing Fibres Vinnis Colours African Expressions Miss La Motte Baah Yarns Linda’s Treehouse EsTeresa Yarns cowgirlblues Karoo Moon Knitting Needles & Accessories Kits Clothing Shawls & Accessories Blankets & Throws Homeware CAL’s Crafty Tools Crochet Hooks & Accessories Patterns Project Bags & Hook Holders Box It!